I have a 2012 Honda civic. I am aware there are two fuse box. 1) under hood, 2) under dashboard. 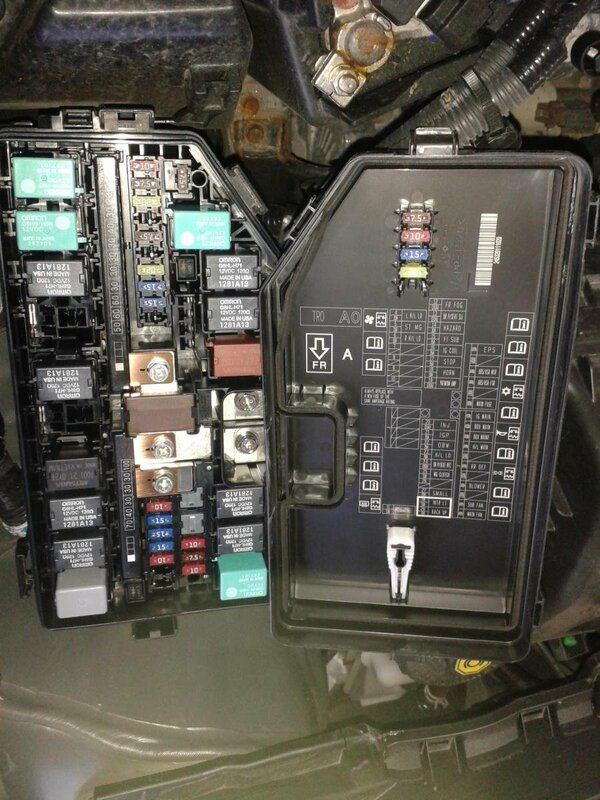 The fuse diagram under dashboard matches with fuses; there is no problem. 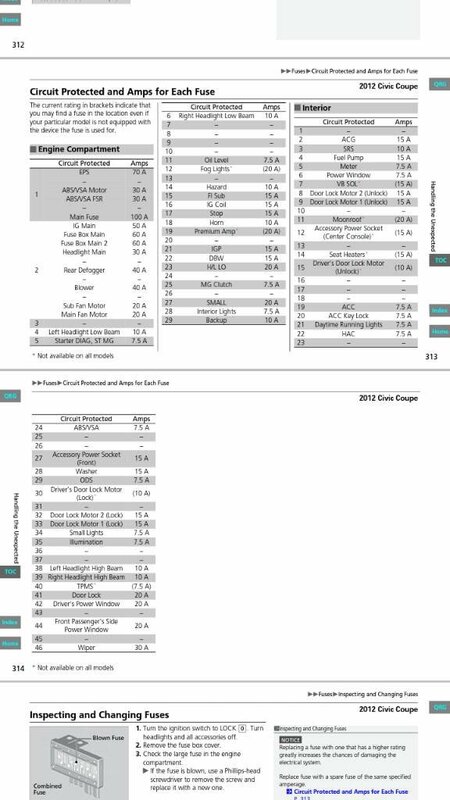 But the fuse diagram under hood (beside battery) does NOT MATCH with the fuses. For example, I took out the fuse in the red circle (10 amp). According to the diagram, it is #4 for "L H/L LO" (Left Headlight Low Beam). However, after it was taken out, the low beam is still ON. My Multi-Information Display is OFF. Apparently, the fuse is not for the headlight. Can any one help me to understand the diagram? Am I having a wrong diagram? This is my first post. Thank you so much! When I say "you're wrong" I mean it in the nicest way. If you look at the fuse box lid there is a rectangle on the top that says "FR" with an arrow on the top left side. That "FR" means "front". The way you have it now the front is facing the wrong way. Thank you, DWils! You are awesome. Now things make sense! And I understood that I took the #29 "BACK UP" out. Can someone help me as well? 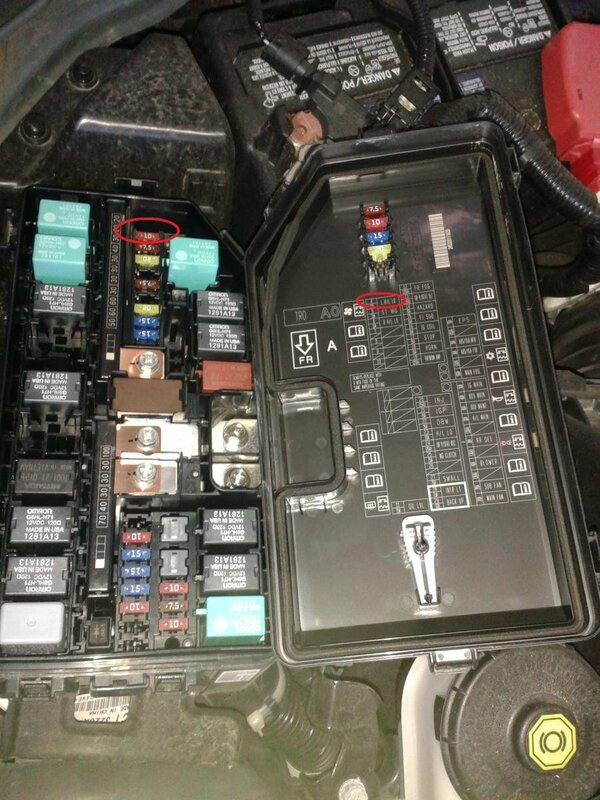 I have a 2012 Civic also and for the life of me, I cannot find the fuse for brake lights/turn signals. And feel free to speak "elementary" to me, as I don't work on cars. Just out of work and would rather not have my 68 year old dad helping me in this heat! Thanks!! Or try the stop fuse (#17 under the hood) for the brake lights, and anything that says lights (like #28 under the hood, or #34 under the dash) for the turn signals. In the fuse box cover, not all relays have name available. Some of them show "i". Where can we find the information about those relays? Nice information. . . . . .